We formed our love for Hawaii and Minnesota and created: Minnesnowii Shave Ice. We serve authentic Hawaiian Style shave ice just like in Hawaii. We use the best block shavers/flavors in the industry to finely shave the ice so soft that there is never a crunch from the first bite til the last. It’s very light, fluffy and flavorful! 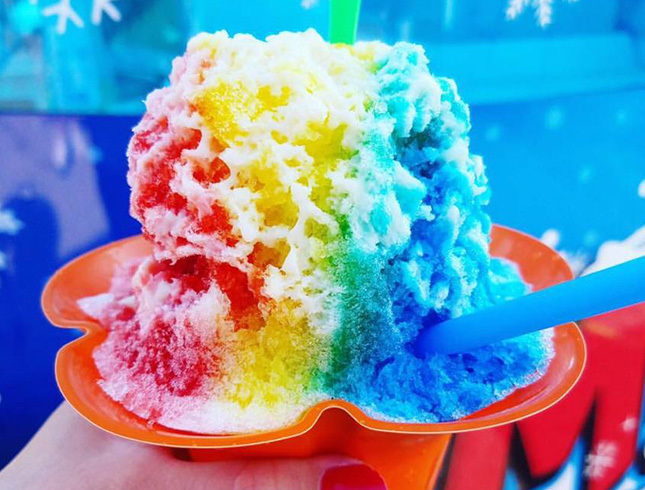 Don’t mistake shave ice with a sno-cone – there is a huge difference in texture. Please, feel free to like, follow, and share us as we will be serving numerous local county fairs and festivals this summer including the most notable: Minnesota State Fair August 23rd – September 3rd in the new West End Market.